LIBERTY POINT- This 3 bedroom 2.5 bath home is situated on a convenient cul-de-sac with a privacy fenced in backyard. All bedrooms are located on the first level and there is an over sized bonus room above the garage that could serve as an additional bedroom, play room, office, craft room, media room or man cave. Bonus features include: granite countertops, stainless steel appliances, recessed lights, dual sinks in the master bathroom with a soaking tub and walk-in closet, and a screened in porch. 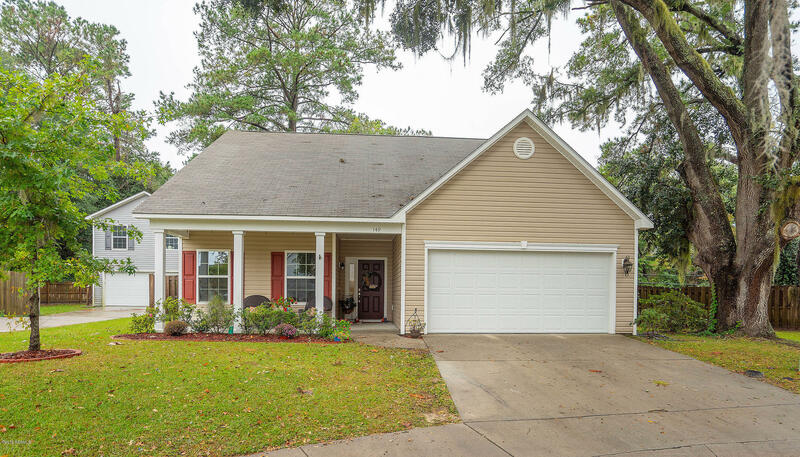 Centrally & conveniently located to all military bases, and a short distance to downtown Beaufort.